When Can Homes Be Sold Through Probate? How Are Probate Homes Sold In California? 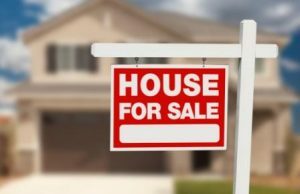 Can a probate home in California be sold at any price? Is A 10% Deposit Required? 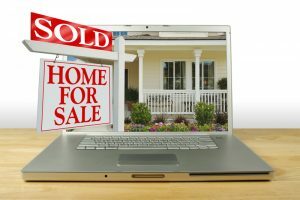 Is a Notice of Sale Required Before Probate Homes Are Sold in California? 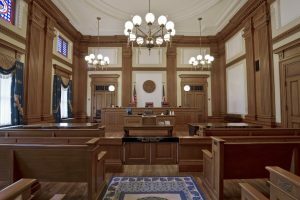 Is Court Confirmation Required For a Probate Sale in California? Someone appointed by the court, the Administrator, when there is no Will, if the Will does not name an executor, or if the named executor is unwilling or unable to serve. The representative has a fiduciary duty and responsibility to gather the assets and pay the debts of the decedent and ensure the heirs and beneficiaries receive the maximum inheritance. Most of the time the personal representative will hire a probate attorney to manage the legal aspects of the probate. If there is a Will it may dictate that real property is sold. 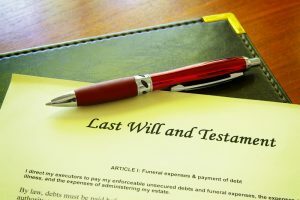 A personal representative must comply with the decedent’s instructions in the Will. A court order may be required if acting otherwise will serve the best interest of the parties. If the Will happens to make no mention of the disposition of real property, or if there isn’t a Will, the representative may make the decision to sell real property. In many cases real property must be sold in order to pay debts, taxes, and expenses to administer the estate. The Personal Representative must have the authority to act. This authority is granted by the Court when Letters Testamentary or Letters of Administration are issued. Letters specify the name of the Personal Representative and if their authority is full authority or limited authority is granted under the Independent Administration of Estates Act. Real Estate Agent: The most common way probate properties are sold is through a real estate agent. The personal representative most typically chooses the probate broker or real estate agent. A probate attorney may recommend a real estate agent to the personal representative, however, they are not required or obligated to hire the agent the attorney recommends. Private Sale: Private sales are noticed in legal newspapers and are handled by attorneys. Sealed bids are opened by the attorney at a designated date and time. The highest bidder wins. Public Auction: Public auctions are noticed in legal newspapers. They are held at a pre-determined date and time. Bids are oral rather than written and sealed. The highest bidder wins. Private Auction: Private auctions are handled by auction companies. The auction company notifies what properties are coming up for auction. Bids are oral. The highest bidder wins. Trust Department: The trust department may act as the personal representative and sell the probate real estate. Is a representative required to list the real property with a probate agent? 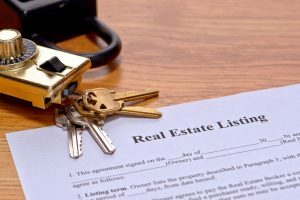 Probate sales in California do not require the representative to sell the property with the use of a real estate agent. An executor or administrator is the “seller” in a probate sale in California. The probate process is like a non-probate home selling and home buying, with the exceptions discussed below. The court requires that home selling through California probate to be confirmed by the court unless the executor or administrator has full authority to act under the Independent Administration of Estates Act (“IAEA”). 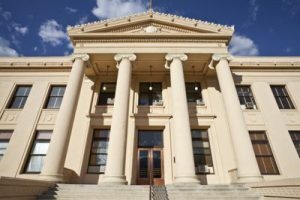 A representative must petition the court for home sales in California if the court requires confirmation. A prudent way the executor or administrator sells a probate home is by hiring a certified probate real estate agent. The short answer is, No. 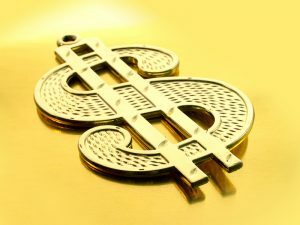 When the court requires confirmation of a sale, the sale price must be at least 90 percent of the appraised value set within one year of the sale. The terms of the sale are subject to the approval of the court and local rules of court which vary from county to county. Probate real estate sales by the executor or administrator with full authority under the IAEA do not have the same restrictions. Sales with full authority under the IAEA may have the same contingencies as non-probate sales. Estates representative may require a 10% deposit. California probate law does not require a deposit on homes sold through probate to be 10% of the purchase price. The deposit requested on probate sales in California is up to the representative. Probate real estate agents will discuss with the representative the pros and cons of requesting a smaller deposit from home buyers. A smaller deposit may mean more offers at higher offer prices. If there isn’t a Will and the estates representative does not have full authority to act under the IAEA, then a Notice of Sale gets published before the sale of the person’s property. The Notice of Sale provides information regarding the sale to the public. It gets published in a legal newspaper in the county in which all or some of the property is located. The newspaper must publish no less than once a week, at least three times over a period of no less than 10 days before the sale. The third publication must be at least five days after the first publication. Sale of real property sold under IAEA can sell with or without notice. The court requires that a property sale is confirmed by the court unless the representative has full authority under the IAEA. If the estates representative does not have full authority, then they petition the court to confirm the sale within 30 days of accepting an offer from the home buyers. The offer from the original buyers may be subject to overbidding at the court hearing. The court will confirm the sale of the original buyers or to another buyer with a minimum overbid. Title passes to the home buyers after all terms of the sale have been met, the court has confirmed the sale, and the executor or administrator executes the conveyance to the buyer. For more information on over-bidding refer to submitting offers. A representative may hire a probate real estate agent and sign an exclusive right to sell agreement for an original period of not over 90 days. One or more 90 day extensions are allowed between the listing broker and representative. Unless the representative is acting with full authority under IAEA, they must get prior court approval for each extension. Under IAEA, once 270 days have lapsed, the executor or administrator must give a Notice of Proposed Action of further extensions. If the representative is acting with limited authority, the sale is supervised by the court. The court must grant approval for the extension. For real property sales under IAEA, we use the California Association of Realtors® standard form listing agreements. A probate listing addendum and probate advisory are necessary attachments to the residential listing agreements. A 90 day listing period rule applies to all probate listing agreements including when the representative has full authority under IAEA. The Representative Capacity Signature Addendum is used to ensure the signature is set up correctly. With the use of the signature addendum whenever the personal representative signs or initials their name they are deemed to be in their representative capacity for the estate. The probate real estate agent selling the house will review recent sales and market trends to determine a list price. It might make sense to recommend home improvements before the property is marketed. It is important that the homes priced right. They’re often priced too high, or too low. Probate real estate specialists need to know their local market and recent sales. The location and the condition of a home sold through probate get factored in the recommended list price. The probate referee provides an appraisal value for the real and personal property. Once the property is marketed the home selling agent will provide home buyers and their agents with the disclosures and information regarding the probate process. A probate sale in California is only complicated to agents who do not understand the process. The home selling agent will include the probate home among their featured properties and syndicate the listing for maximum exposure. Home buyers get informed of court dates or court hearings. In most cases, the home buying and home selling process will not require more time than a traditional sale. Real estate markets are different throughout the state of California. The probate process may vary in California counties. It is common practice in Santa Clara County for home buyers to provide a lender approval letter if they are financing the purchase and provide proof of funds. Some home buyers use a mortgage calculator to determine if they can afford to buy a home. While that may be helpful for the buyer, they also need to apply for a loan with a lender. If the home buyers are buying “all cash” they also need to provide proof they have the funds. In the County of Santa Clara, the initial deposits and funds to close the sale sent by wire transfer. A cashier’s check is also acceptable. The executor or administrator must keep the home insurance current until the home is sold! Not all representatives end up selling the house. Most do yet some will keep houses for rent and keep them as an investment property. Probate sales in California provide an opportunity for home ownership or investors seeking an investment property. All homes, including mobile homes, must comply with agency disclosure laws if the real property is the subject of a sale, exchange, land contract, or lease which exceeds one year. This includes homes sold through probate. A Transfer Disclosure Statement (“TDS”) is a required disclosure in California. An executor or administrator is exempt from the requirement to provide home buyers with a completed TDS. The exemption does not relieve the representative from disclosing all known material facts regarding the desirability and value of the property. Executors and administrators have to disclose what they know about the property with an Exempt Seller Disclosure form. 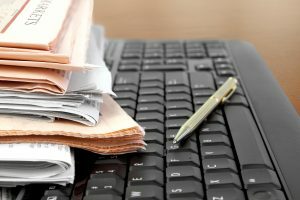 California probate exemptions are one of the most misunderstood facts in probate sales in California. The TDS exemption only applies if there is no actual knowledge about the real property sold through probate. Excluding applicable exemptions, probate sales in California must comply with all disclosure laws. Probate real estate specialists hired to sell the property owned by the decedent’s estate need to complete a competent and diligent visual inspection of the property. The home buyers’ agent also needs to complete a visual inspection of the property. The visual inspection is to include all accessible areas to the property. Agents must disclose all known facts that may impact the value and desirability of the property. 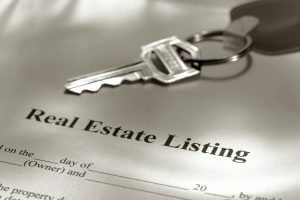 The listing agent’s disclosure includes facts known about the property that was gained from the estates representative or the decedent before they died. The findings of the visual inspection are written on an Agent Visual Inspection Disclosure form. 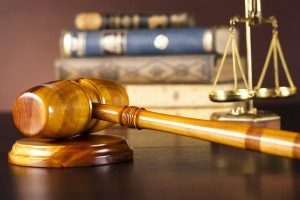 When a representative of an estate gets appointed to manage the decedent’s estate, they become an officer of the court with many duties and obligations. Hiring experienced real estate agents to sell the property owned by the decedent’s estate is prudent. The probate real estate agents experience, knowledge, and extensive training ensure homes sold through probate are managed following the probate process. 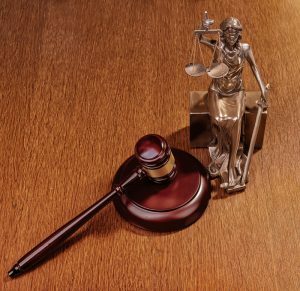 It is prudent to hire probate attorneys versus personal injury lawyers to manage a California probate. It is prudent to hire probate real estate agent to sell the property versus an agent does not understand the California probate process. We are Certified Probate & Trust Sale Specialists. If you need help selling a probate home in California contact us and get the help you need today.